ADV is the term applied to “adventure motorcycle riding” meaning enjoying off-road trails and adventures versus the paved road. This has become increasingly more popular of the past recent years among women riders. One of the contributing factors is the avail of a more diverse choice of off-road or adventure motorcycles such as the BMW Motorrad 700GS and Kawasaki Versys X 300 . 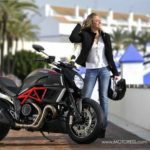 These models have enabled more and more women the vehicle to enjoy this form of riding. It will be the second running of the women-led adventure rider women’s rally – ADV Woman Rally hosted by “ADVWoman” slotted for July 20-23, 2017, in Granby, Colorado, USA. The event will include a variety of self-guided rides, Geocache scavenger hunt, classroom training sessions as well as on-range adventure and dirt bike rider training – of course by women instructors. Last year’s ADVWoman Rally was a great success with several participants traveling over 1800 miles to attend. “I knew the ladies would have a blast, but I was most surprised by how much the gentlemen enjoyed themselves,” said Jacques. “We are building on last year’s success with several key changes,” said Pat Jacques, Rally Director. 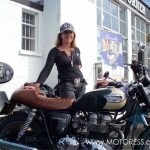 “BMW Off Road instructor Caroline Stevenson has joined the teaching staff, plus the rally is expanded to four days, Thursday through Sunday. We have obtained indoor convention space, and have hotel accommodations available. 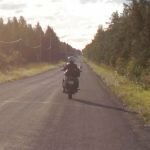 We will teach on-range rider training ‘Adventure Essentials’ and ‘Dirt Bike Essentials’, and we’ve added the advanced level ‘BDR Essentials’ class (BDR= backcountry discovery route). This will support riders in successfully completing the Colorado Backcountry Discovery Route teaching steep ascents and descents, hair pin turns, water crossings, and rocky terrain skills”, she added. Immediately after the Rally there will be a ladies Colorado Backcountry Discovery (COBDR) Tour. Men are welcome to participate in the rally as well; it is a female and family friendly rally.